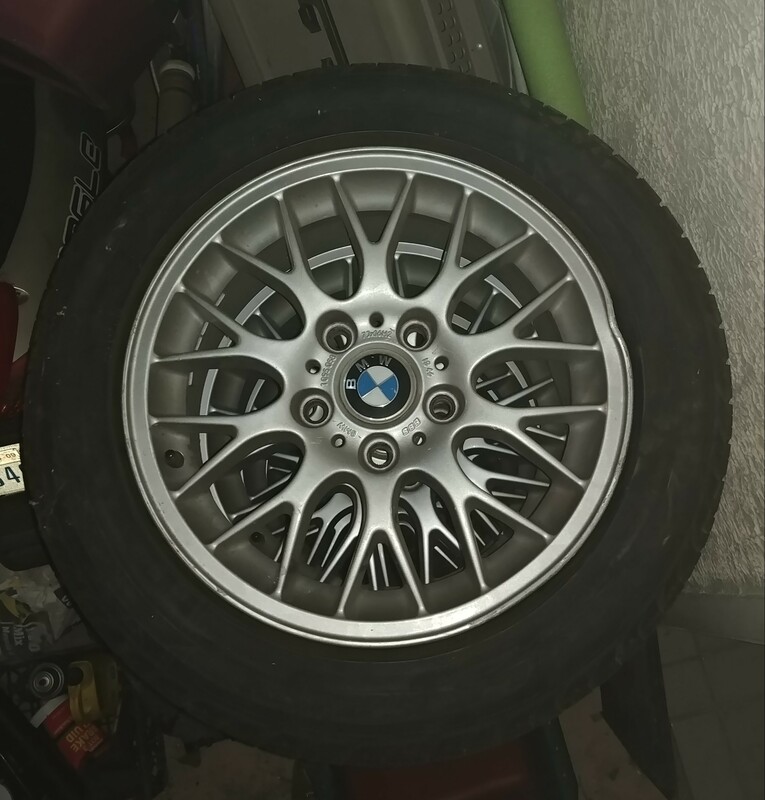 Looking to sell my 16″ bmw wheels and tires. 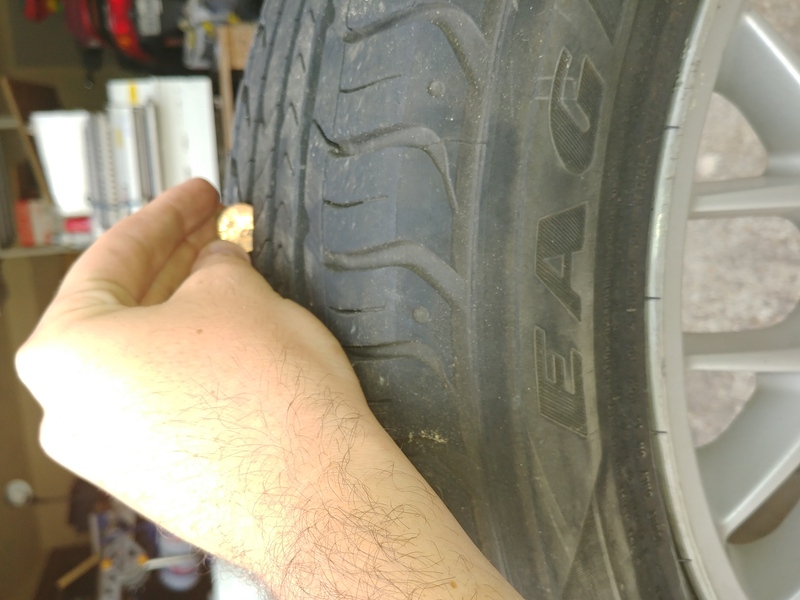 There is a dent in one of the bbs rims. 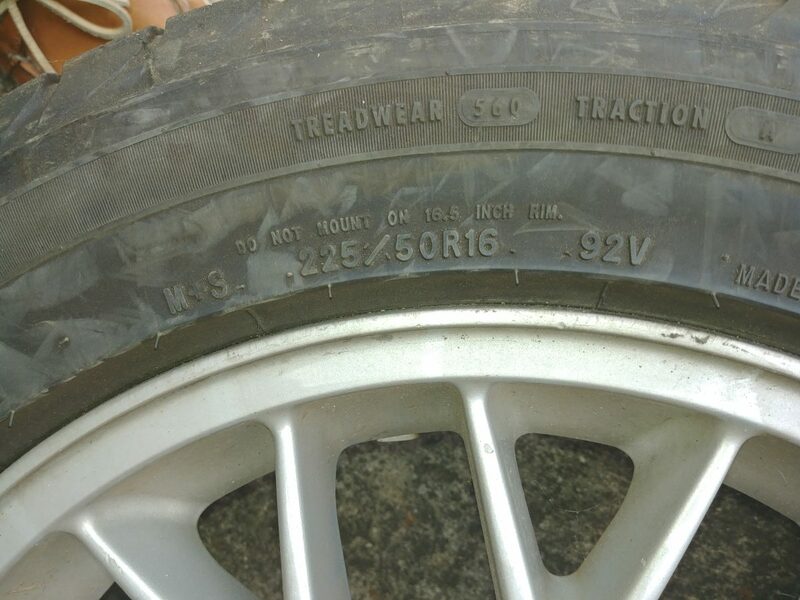 Comes with 15″ spare with stock rim.